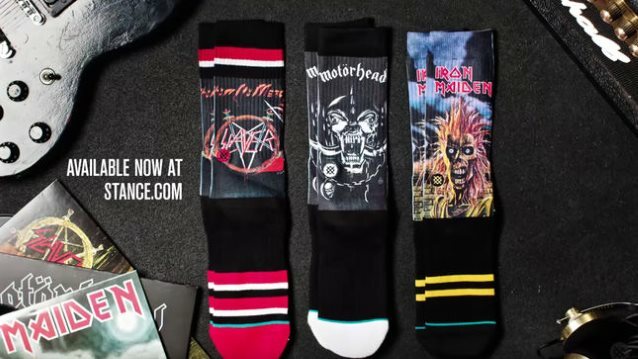 Luxury sock company Stance has released a new line of footwear from its "Legends Of Metal" range, featuring designs that were approved by SLAYER, MOTÖRHEAD and IRON MAIDEN. 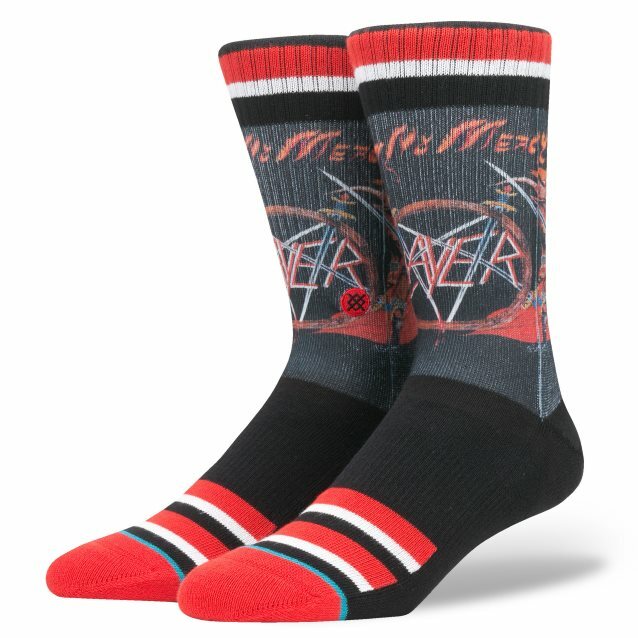 Available to purchase for $18 a pair, the socks feature designs taken from classic albums by MOTÖRHEAD, IRON MAIDEN (both of which display the artwork from their respective self-titled albums) and SLAYER's "Show No Mercy". 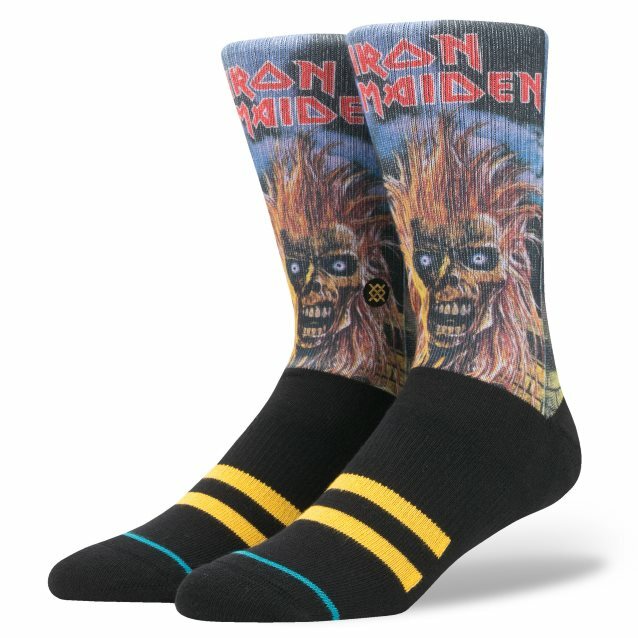 Stance's "Legends Of Metal" description: "Our 'Legends Of Metal' collection pays tribute to the first albums of the worlds most idolized bands SLAYER, IRON MAIDEN and MOTÖRHEAD during a time when their unpredictable and unfiltered behaviour was about to lead them to heavy metal immortality. SLAYER features the original artwork from their debut album which continues to reign in metal glory." 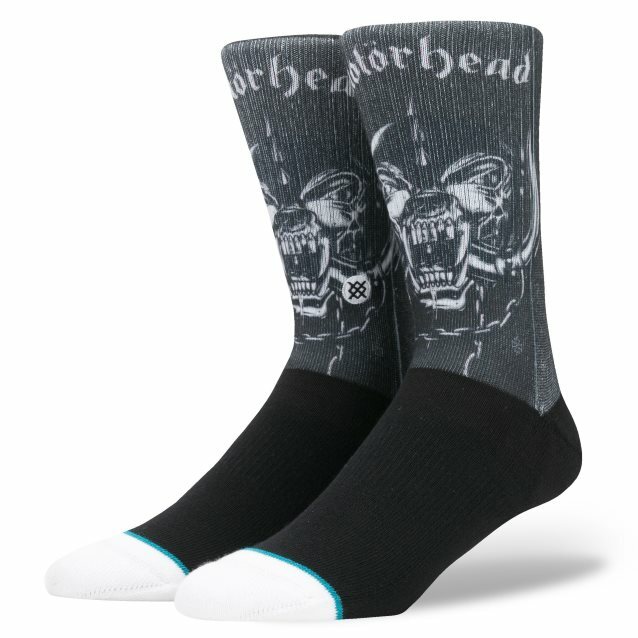 According to the Los Angeles Times, Stance features socks with wild patterns and colors that can cost as much as $50 a pair. The company signed a multiyear licensing agreement with the NBA to include team logos. 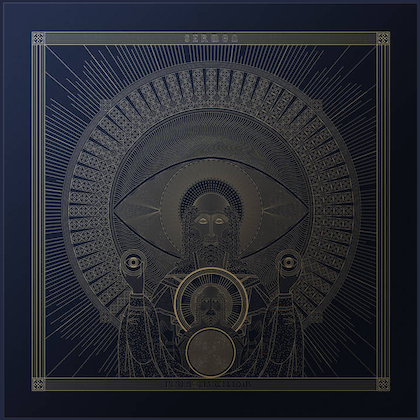 Stance in November 2015 opened its first retail store in New York's SoHo district. It ended the year with an estimated $180 million in revenue. Stance's co-founder and president, John Wilson, is the former president of Reef and has been an executive at Oakley.